Upload your photos to the popular Locr geotagging community. Is there a better alternative to Locr DropBox? Is Locr DropBox really the best app in File Management category? Will Locr DropBox work good on macOS 10.13.4? Locr DropBox, the new stand-alone application for Mac OS X allows you to upload your photos to the popular Locr geotagging community. Simply drag your photos into the Dropbox application, or onto its icon, or use the Service menu in any application. Along with the photos, their geotags, their description, as well as any keywords are being sent to the server. The uploaded photos can be stored into new, or existing albums. 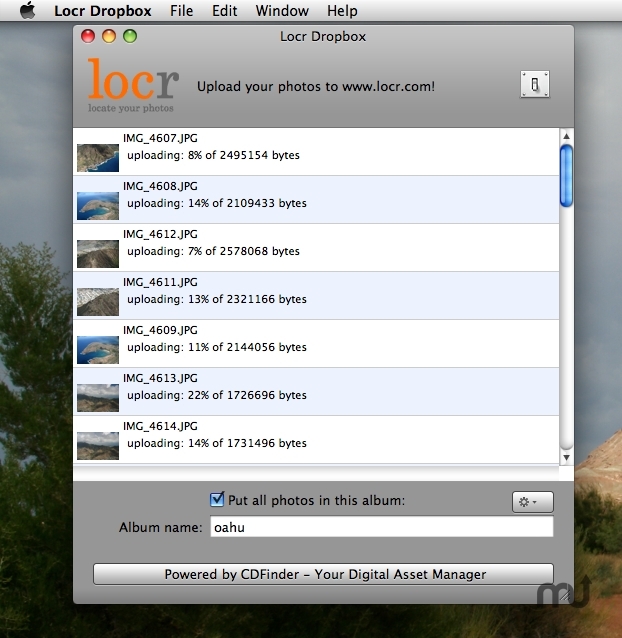 Locr DropBox needs a rating. Be the first to rate this app and get the discussion started!